One of the most common form of flyers, suitable for comp slips, take-away menus and flyers. One side colour print, on 170gsm glossy or matte paper, you choose. 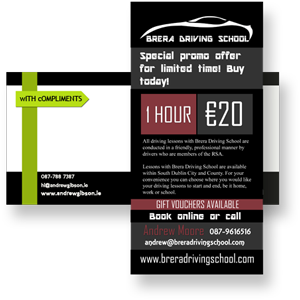 Delivery to Dublin and surrounding areas. Delivery to other areas will cost a little extra.